Any upgrades to agricultural machines should aim at adjusting the unit to the technological trends of the day. This also applies to machines which have been best selling for years globally. Due to that, the well-known KDTC disk mowers have been upgraded with a new design of cutting strip. Up to date, KDTC mowers used to leave a narrow strip for easier collection of forage which however made the forage drying process longer. The new version of the machine leaves a wide, well-aerated swath. 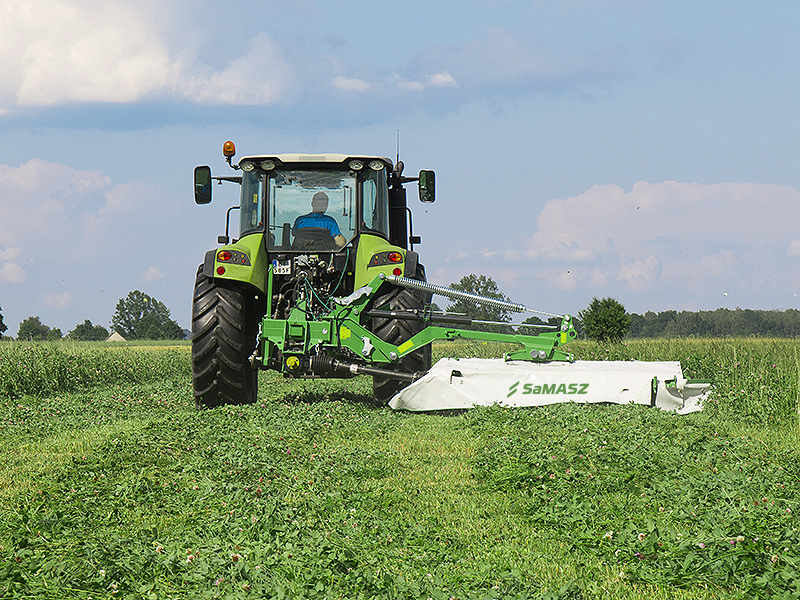 The strongest advantage of that is a significantly quicker drying time for a shorter collection of forage. Optional double plate rakes let you adjust the swath width for the machines to be used next (a press or self-loading trailer) without losing material. The KDTC range disk mower is great for meeting the most important goal of swath works, i.e. production of the highest quality feed, free of impurities and without damaging turf.